FIRE FIGHTING DIVISION THERMOPLASTIC HOSE PIPE TYPE 2. 10 KG WORKING PRESSURE. MAKE : TIGER ISI MARKED IS: 12585 . We bring forth an impregnable range of Welding Rubber Pipes. This rubber inner tube is manufactured in black color having uniform and smooth bore. A reinforcement of natural or synthetic fire is applied by braiding. A rubber cover of red / blue color is applied over the braided tube with smooth finish. Red color is for fuel gases and blue color is for oxygen and other non-combustible gases. 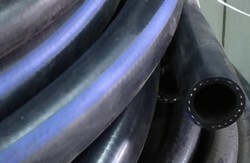 We offer Carbon Free Rubber Pipes. 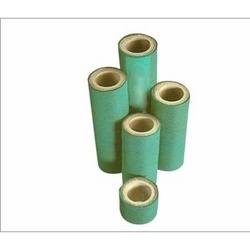 They are used as an outer protective covering for power cable in steel mills, glass works etc. To avoid damage to cables, leakage of current due to exposure to open flame splashes of hot metal or radiation carbon free hose. 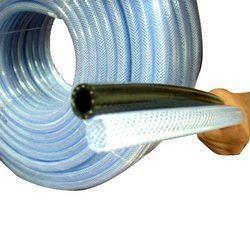 Our company is highly acclaimed in offering a wide range of Suction Delivery Hose Pipes. 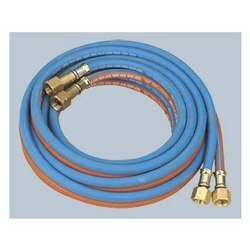 These Suction Delivery Hose Pipes are ideal for medium duty suction & delivery of water for irrigation purpose in agriculture, saline water, light acids, alkalies and other chemicals except solvents. This high quality Suction Delivery Hose Pipes are very popular in the market segments for their high durability, quality, optimum performance and reliability. Looking for Rubber Pipes ?